In 2009, the Corporate Executive Board, a consultancy providing expertise to some of the world’s largest companies, studied the distinguishing characteristics of great sales people and well-run sales processes. They surveyed more than 6,000 sales reps across 90+ businesses. The analysis revealed three interesting things. First, most customers don’t perceive a difference between competitive products. Over and over we found that customers, generally speaking, see significantly less difference between us and the competition than we do ourselves. It’s not that they think most suppliers are particularly bad on brand, product, or service. It’s just that [customers] don’t think [suppliers are] particularly different. Second, the most important factor in a purchasing decision is internal consensus that a vendor is the right one for the job. Salespeople must engender solidarity among the group that will report their findings to the ultimate decision-maker. Third, given those two hurdles, what types of sales people and sales process work best and most consistently across industries and products? The CEB’s analysis found five types of sales people, one of which one stood out: the Challenger. The CEB clustered salespeople into Challengers, Lone Wolves, Hard Workers, Problem Solvers and Relationship builders. The figure above shows Challenger reps represent 23% of the surveyed population, but 39% of top performers. 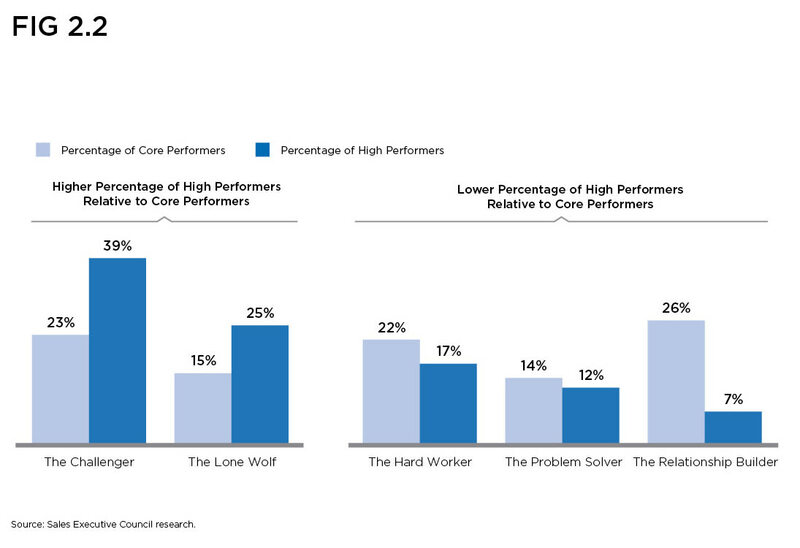 Lone Wolves are 15% of salespeople, but 25% of top performers. What distinguishes Challenger sales people? According the CEB’s analysis, Challengers sell by teaching, tailoring and controlling the sales process. Challengers pitch customers in five steps. First, instead of asking, “What problems do you, the customer have?” Challengers, they warm up the prospect and build credibility by providing some relevant data or insight. Next, and this is the most important part, they Reframe the conversation. They teach the customer that their current world view is flawed in some way. This judo move changes the power dynamic in the relationship. The salesperson becomes an expert and the customer wants to continue the conversation to learn more about why their current worldview isn’t optimal, and how to fix it. 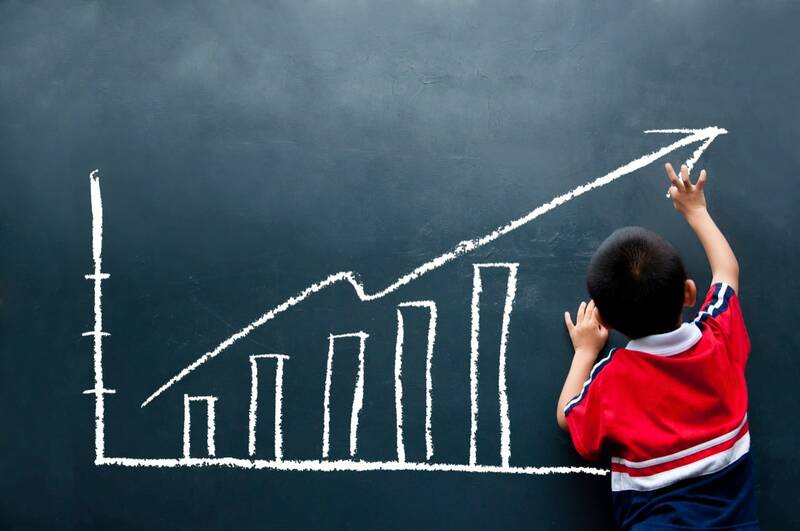 The next three steps of the Challenger sales process are similar to other models of selling. Next, Challengers salespeople Prove the Business Case. Fourth, they Emotionally Involve the customer in the story, crafting a narrative in which the customer identifies with the pain points and comes to believe his/her worldview needs to evolve. Last, the sales rep paints the New Way Forward, in which the product plays a key role. Challengers are effective sales people in low complexity products, but outshine the other types in complex products. Of course, successful salespeople come in all forms. But it’s interesting to see the CEB’s conclusions about the Challenger salesperson as a disproportionately more effective sales technique.